Healthy wetland landscapes contribute to the health, safety, and livability of nearly every Wisconsin community. Learn more about how wetlands provide cost-effective amenities and services to your community. Learn more about wetlands – Find tools and resources that explain the benefits of wetlands and how you can use wetlands to protect public health, safety, and welfare. 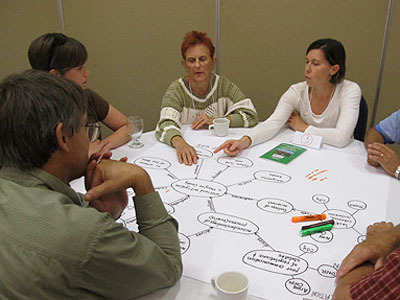 Model wetland conservation ordinance – Explore policy options that your community can adopt to put wetlands to work for achieving community goals and priorities. Wetlands in your community – Learn about your county’s current and historical wetland landscape. 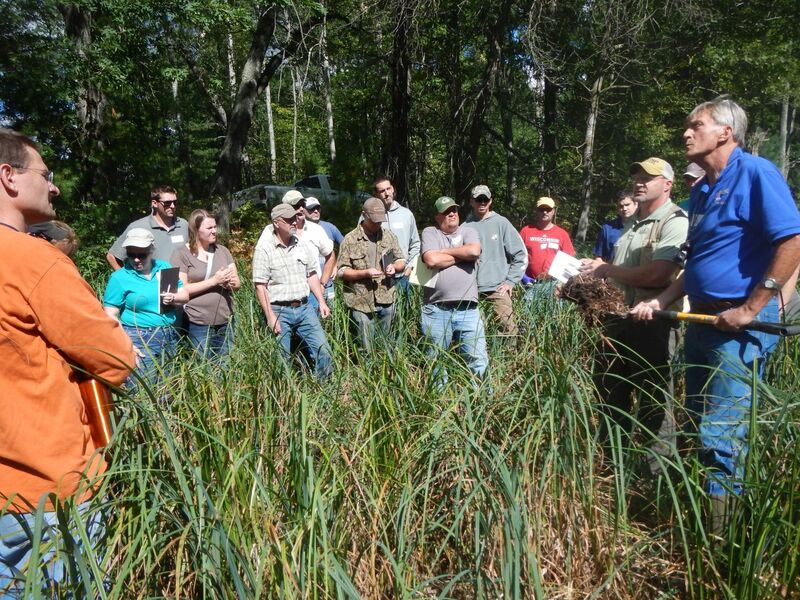 Workshops – We offer a number of field-based workshops that can help professional staff, local officials, and others identify, understand, and preserve the benefits local wetlands provide. Learn more about how you can get your feet wet and learn about wetlands. Technical services – We have specialized expertise in land use and watershed planning and zoning and other land use regulations. Contact us if you’re grappling with a wetland-related concern or question for administering local programs, plans, or ordinances. Consultation – We’re here to help make wetlands easy. Submit a request and we’ll schedule a time to get you more information on any wetland questions or concerns.